Are you ready for Daylight Saving Time? It doesn’t have to turn your house upside down when you prepare ahead of time. Use these helpful tips to prep your kids for daylight saving time and make a smooth transition without wrecking sleep schedules. I took a look at the calendar today and was shocked to see Daylight Saving Time is right around the corner. Literally, in a matter of days! The two Sundays of the year that every parent just dreads. Am I Right? I love that moving our clocks forward means longer days of sunlight, but time changes can significantly interfere with sleep habits and moods – making for a hard transition period when you have kids. Here are a couple helpful tips to prepare your family for the upcoming time change. Adjust naps and bedtimes by 15-20 minutes each day leading up to the time change. For example in the SPRING, if nap is usually at 12noon, push it back to 11:45am on Thursday, then 11:30am on Friday, 11:15am on Saturday and finally by Sunday, you’ll be back on track when the clocks move forward an hour. For example in the FALL, if nap is usually at 12noon, push it forward to 12:15pm on Thursday, then 12:30pm on Friday, 12:45pm on Saturday and finally by Sunday, you’ll be back on track when the clocks move forward an hour. For mornings, you might consider using a clock that lights up like this one in the mornings and indicates to bigger kids when it’s time to get up. With babies younger than 6 months, their internal sleep/wake cycles might not be fully developed just yet. Don’t try to adjust their schedules too much, they’ll gradually fall into the new time change. Exposure to natural sunlight will help to reset their internal sleep/wake cycles. Stick to your routine – children reap the benefits of having a daily routine – adjust your schedule by 15 or 20 minutes each day to make the transition easier. By Sunday, your routine will still be in place and on track with the time change. Need help creating a peaceful bedtime routine for your baby? Check this post out for guidance. Children’s circadian rhythm (the body’s internal clock) is regulated by light and darkness. In the morning when your kids wake up, expose them to natural light. Pull open the curtains in their room and throughout the entire house to let natural light stream in. At nap and bedtimes, make sure rooms are darkened to simulate nighttime. This is important if your kids go to bed before it’s dark at night once the time change occurs. Blackout curtains or shades will make falling asleep easier even if it is still light outdoors. Your child’s melatonin production which encourages the onset of sleep is stimulated by darkness. Make the transition smoother by dimming lights and turning off unnecessary lamps and overhead lights through the house 30 – 45 minutes before bedtime. Darkening the house will begin to simulate the transition to nighttime. 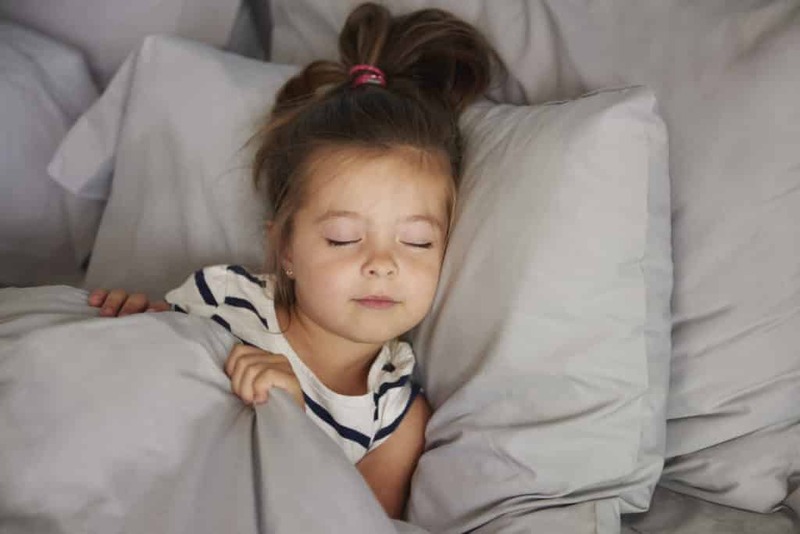 If your child is finding themselves waking up at the usual time, encourage them to stay in bed with the shades pulled, even if they can’t fall back asleep. This will help to reset their internal clock and the dark room sends signals that it’s still sleep time. Time changes, while are generally easier for kids to handle during the Spring than the Fall, can leave kids feeling fatigued and grumpy for up to a week afterwards. Exercise patience and know that in time, things will fall back into place and this too, shall pass. Isn’t that backwards??? If my child normally naps at Noon, I would want go gradually move it back to 11, because after the time change 11:00 is “spring forward”ed to noon. … right? Hi Nicole, since we’re “springing forward” this Sunday, our clocks will be moving forward an hour. The 12noon nap will essentially become 1pm. You’re right, this is why we should move BACK nap and bedtimes in 15 minute increments. In the Fall when we move our clocks backwards, we’d be putting them to bed in 15 minutes increments LATER to account for the gain of an hour. Thanks for noting that, I’ve updated the post to show the difference in SPRING and FALL Daylight Saving Time Changes! But if you move it gradually forward to 1:00, at DST 1:00 then becomes 2:00…so now naptime is at 2:00. It would make more sense to move it back, to compensate for the clock moving forward. Or leave it alone and let them nap an hour later (according to the clock, but the same time according to their internal clocks).